NEW ORLEANS (Legal Newsline) - Transocean Deepwater Drilling Inc. lost on its motion to stay judgment pending appeal and must allow the Chemical Safety and Hazard Investigation Board to obtain documents it needs to further its investigation into the 2010 BP Gulf of Mexico explosion and spill. A three judge panel of the Fifth Circuit Court of Appeals issued the per curiam opinion Tuesday denying the motion. The panel consisted of Judges Carolyn Dineen King, Edith Brown Clement, and Stephen A. Higginson. The Chemical Safety and Hazard Investigation Board (CSB) is a governmental board charged with investigating any actual or potential release of a regulated substance into the air from a stationary source. 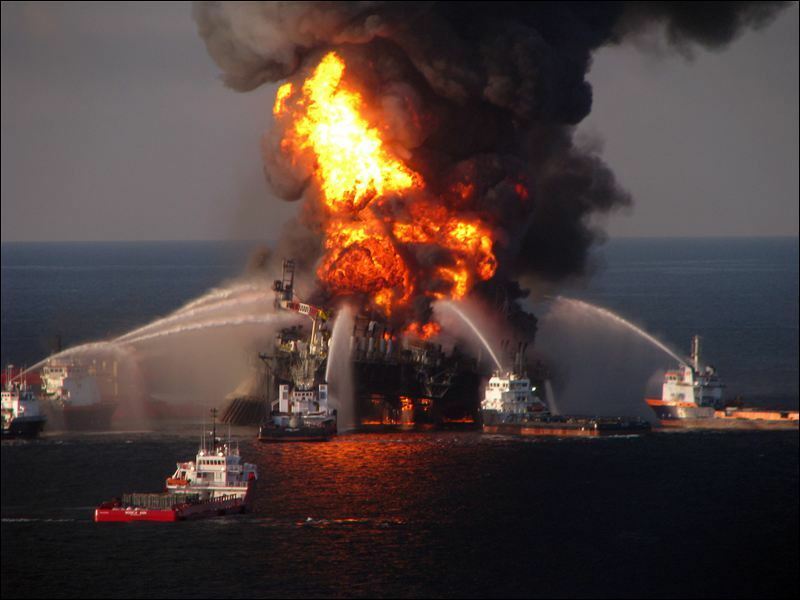 After the April 20, 2010, BP explosion and oil spill in the Gulf of Mexico, the CSB invoked its jurisdiction to investigate and asked Transocean to preserve all evidence relevant to its investigation. Transocean was the owner of the mobile offshore drilling unit at the Macondo lease site where the blowout and explosion occurred. The CSB alleged that Transocean only partially complied with administrative subpoenas demanding documents that had been collected by a Transocean investigative team and documents Transocean has already provided to other government agencies. In response to the alleged resistance from Transocean, the government filed a petition to enforce the CSB's subpoenas in federal district court. Transocean moved to dismiss the petition and quash the subpoenas, arguing that the CSB lacked the authority to investigate the incident. The district court denied the motion and granted the government's petition to enforce the subpoenas, issuing its final judgment on April 22, 2013. Transocean then asked the Fifth Circuit for a stay pending appeal. "A stay is not a matter of right ... It is instead an exercise of judicial discretion, and the propriety of its issue is dependent upon the circumstances of the particular case," began the Court's analysis. "The Supreme Court has repeatedly stated that a four-factor test governs a court's consideration of a motion for stay pending appeal: (1) whether the stay applicant has made a strong showing that he is likely to succeed on the merits; (2) whether the applicant will be irreparably injured absent a stay; (3) whether of the stay will substantially injure the other parties interested in the proceeding; and (4) where the public interest lies. Under the traditional standard, the first two factors are the most critical and the final two factors "merge when the Government is the opposing party," the Court explained. "The applicant bears the burden of showing that a stay is justified." Having dispatched with the first two factors, the Court moved to the last two factors -- injury to the CSB and where the public interest lies. "The injury that a stay would work upon the government and the public is clear. As we have discussed, the CSB is authorized to investigate accidental releases of hazardous substances and make recommendations to prevent future releases. Delaying the subpoenaed documents' release would impede the accomplishment of this mission, which is of unquestionable significance to workplace and public safety. "Relying on Holiday Tours, Transocean contends that the public interest generally favors preservation of the status quo pending appeal. In Holiday Tours, the district court had enjoined the defendant bus tour service from operating without the appropriate certificate, but stayed its judgment pending appeal because enforcement would have meant the business's destruction. "The court of appeals [in Holiday Tours] explained that the plaintiff had not shown any particularized public interest that would overcome the injury to the defendant. Transocean thus ignores that the equities in Holiday Tours favored maintaining the status quo. Moreover, the proponent of the status quo in Holidays Tours had prevailed below, whereas Transocean did not, and thus bears the burden of showing that the district court abused its discretion in refusing to issue a stay. "Finally, Transocean submits that the public has an interest in having 'the appellate courts ... consider the serious legal questions raised in this case' - an interest that cannot be vindicated if its appeal becomes moot. Because Transocean's appeal will not be mooted by compliance with the subpoenas, we will have ample opportunity to consider the legal questions raised in this case. The Court concluded, "The CSB and the public, in addition to being generally entitled to the prompt execution of orders that the legislature has made final, suffer further injury each day that the CSB is prevented from concluding its investigation into an industrial accident that resulted in eleven deaths. "As we have explained, the prevention of similar accidents in the future is an important public interest. Transocean has utterly failed to justify making the government and the public wait any longer for the CSB's investigative report and safety recommendations."